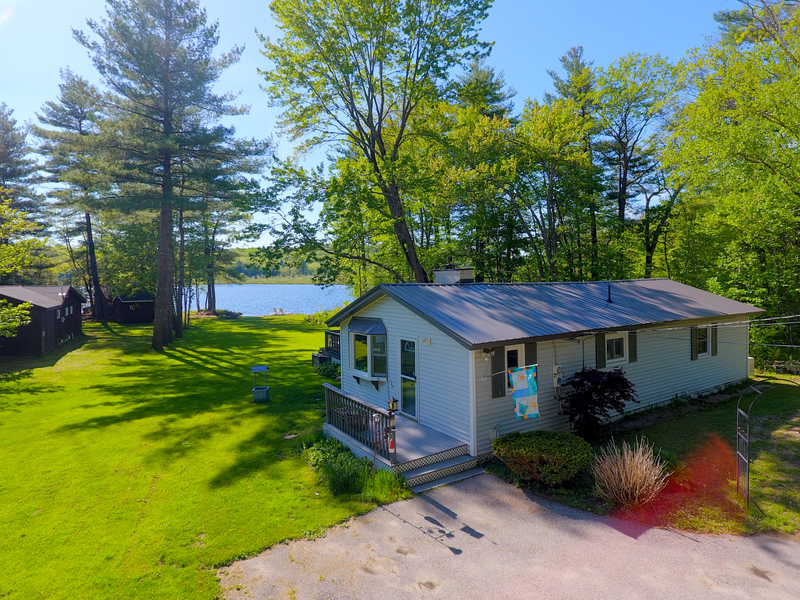 This tastefully decorated, charming cottage with 100 feet of owned lake frontage on Silver Lake is a rare opportunity! Right as you walk into the huge screened porch you are going to picture all of the fun you will have here this summer! Once inside you will notice the large dining room w/ modern lighting, to the right is the very spacious living room which offers tons of natural light & gorgeous views of the lake! There is also a brick fireplace w/ a wood stove insert in the living room! The kitchen offers plenty of prep space with the best contrast of colors, modern back-splash, as well as newer washer and dryer for your convenience! The two bedrooms are generous in size! The bathroom is updated w/ a large walk in shower, updated vanity & stylish wainscoting! Another rare feature is the basement that has usable space & a work bench! You will be in awe with how spacious this home is! The exterior has ample parking & a one stall garage! 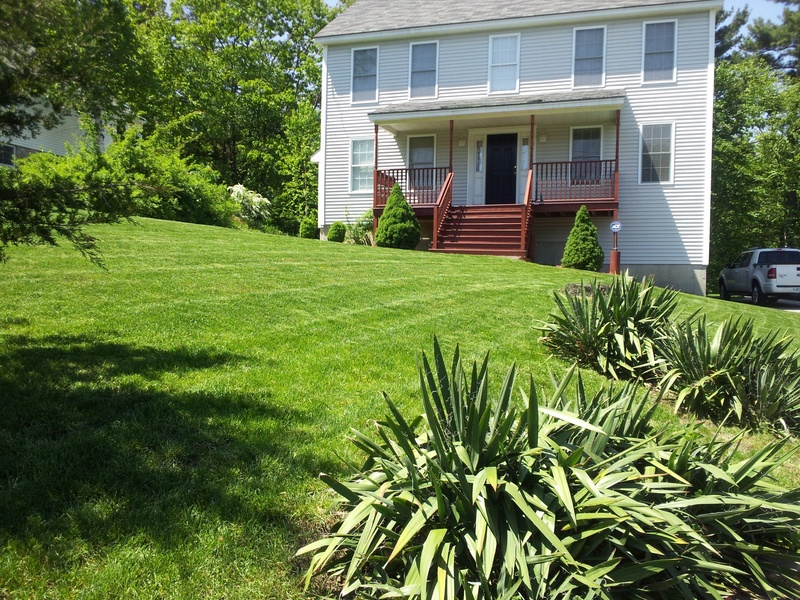 The backyard features grassy space & sandy beach area w/ fire pit! Did I mention that this home is being sold furnished?! Just what you’ve been waiting for! 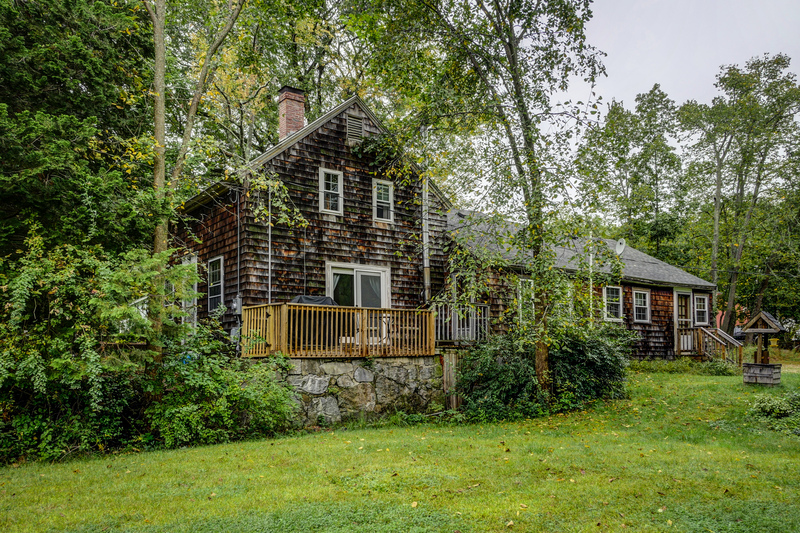 This move in ready New Englander has great character and tons to offer! From the start you will love the modern flooring throughout the first floor! The kitchen is spacious with a modern back-splash, counter tops and updated appliances! The living room is spacious and off of it is a three-season porch, perfect for the warmer nights! Also, on the first floor is an updated full bathroom with a large vanity that has plenty of storage, newer light fixture and modern floors! One bedroom on the first floor, the other three bedrooms are upstairs and all are generous in size! 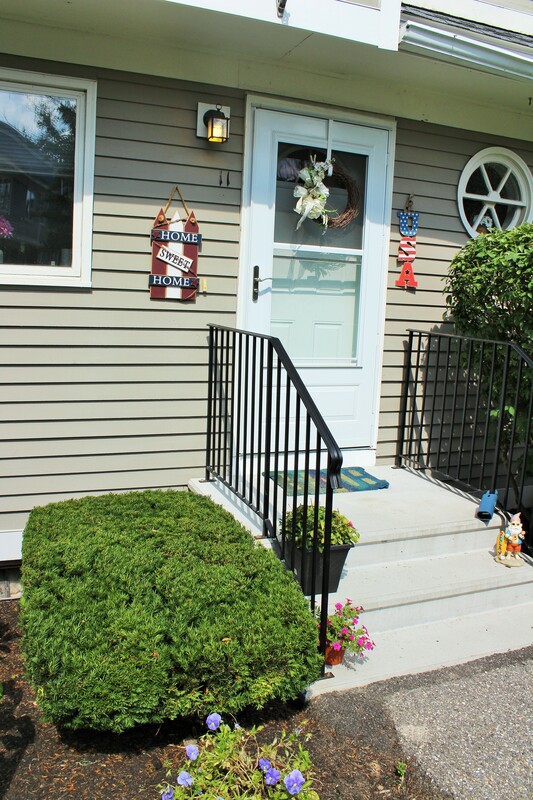 The front yard is off of the three-season porch that has a patio, paved walkway and is fully fenced in! The parking is off-street and two of the spaces is under an attached carport! This home has a newer heating system, and newer windows! Easy highway access is perfect for any commute. Don’t miss out, this won’t last long! Here it is!! 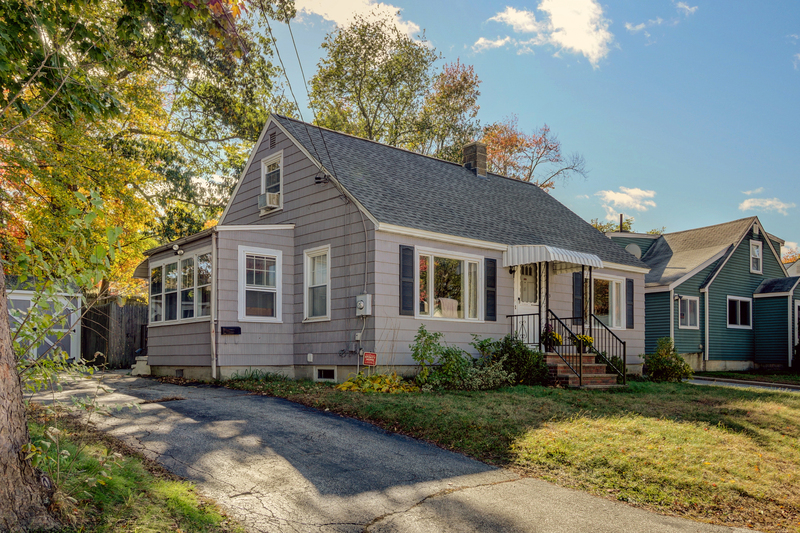 This 3 bedroom cape has so much to offer! 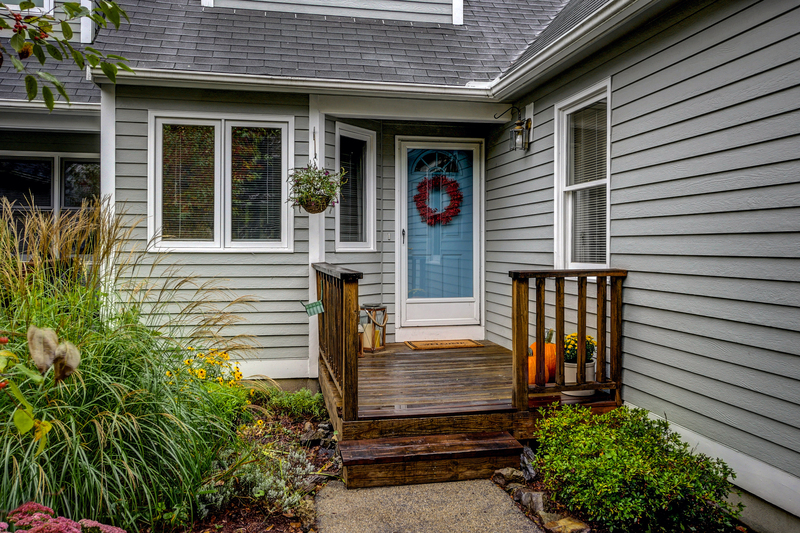 As soon as you walk in, you will notice the large enclosed porch perfect as a mudroom or hangout spot. The kitchen is large, with tons of cabinets and counter top space! The versatile floor plan allows for either a living room or dining room off the kitchen with gorgeous hardwood floors! For your convenience there is a large bedroom on the first floor and the full bathroom. The upstairs has tons of character with built in dressers and storage space! You are also going to love the fully fenced in backyard that offers privacy, and a nice squared lawn for your entertainment! Just when you thought it couldn't get any better, roof was installed September of 2017!! Don't wait, this won't last long! A great opportunity awaits in the very desirable Century Village! This large townhouse has 2 bedrooms with a large loft, 3 bathrooms and potential to finish additional bonus space above the garage!! You will love the amount of storage this home has! The first floor consists of a half bathroom with laundry hookups, a breakfast nook, great size kitchen with tons of cabinets and counter space. There is also a formal dining area, a sunroom and a large living room with a gorgeous propane fireplace!! Off the sunroom is the backyard that looks out to woods which is perfect for privacy! All floors in this home are bursting with natural light! Upstairs has a full bathroom, a large bedroom with gorgeous windows, as well as the master bedroom that has a massive walk in closet and private three-quarter bathroom! The loft is accessed through the master bedroom and is great for any additional space you need! The loft even has a giant walk in closet! If you’re still needing more room, the one car garage has additional walk up space above with the potential to finish if desired! There is so much to love about this house!! You start in the bonus room that has potential to be whatever extra room you’re needing, perfect office, bonus living space etc., it also has a large built in bookshelf!! The kitchen offers a large countertop perfect for food prep, eat in kitchen area with tons of natural light and pantry closet! The main house has gorgeous antique wide wood flooring throughout! The Dining room has a beautiful fireplace, and access to the side deck! You will love all of the built in cabinets around the home which is a great use of space for extra storage! The living room is cozy also with a fireplace which makes for a great centerpiece! There is a separate laundry room on the first floor as well! Both staircases are tucked away which is perfect for space saving! The two bedrooms from one staircase are great size with a storage closet in between! The third bedroom is accessed from a different staircase and is a great size bedroom; off that large bedroom there is another room with potential for additional living space if desired to add in the future! The barn/garage outside is enormous which can hold 6 cars plus toys! This home is just what you have been looking for!! With an open concept floor plan, you will love all that this home has to offer. When you come in from the lower level, you will see the library to the right, with built in book shelves!! The library leads to the massive two car heated garage!! Back through the library and across the hall, you will have a large bedroom with a pellet stove(negotiable)! The staircase leading up to the main floor is wide and has gorgeous wood floors! You will be in love with the large dining area & massive living room! From dining/living you lead into the gorgeous oversize kitchen that has tons of cabinets and counter space as well as a pantry closet and eat-in island! From the kitchen, you will be led to the first-floor laundry, a three-quarter bathroom and a gorgeous three season enclosed porch! The living room is bursting with natural light from the 6 large windows that give you a view of your private lot! The living room also has gleaming hardwood floors throughout & a HE wood burning fireplace that can be the primary or a secondary heat source in the colder months! Each bedroom on the first floor is a great size and each has its own bathroom! 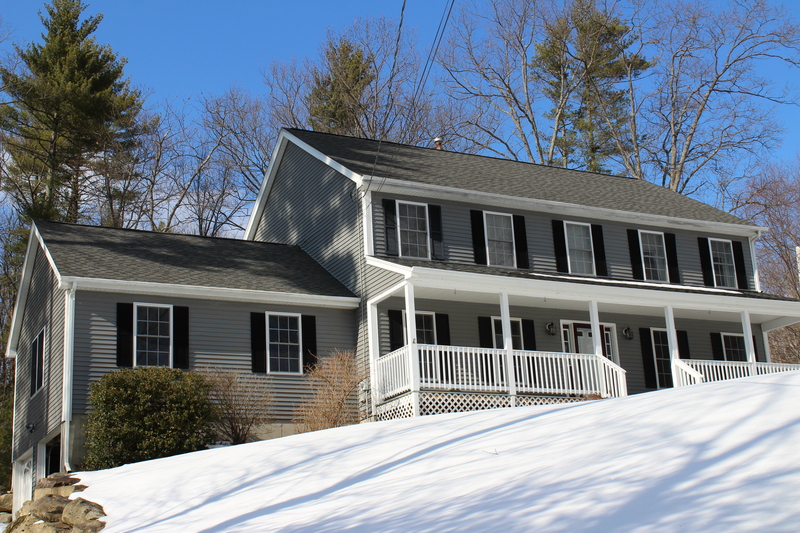 Live the life of privacy w/ this serene, meticulously maintained 3-4 bedroom Cape! Landscaped to perfection, you feel right at home as soon as you drive in. W/ a beautiful entry porch to start, you walk in to the large mudroom, & make your way into the huge updated kitchen! With cathedral ceilings throughout, the kitchen has a ton of cabinets & gorgeous gleaming counter tops. All the appliances are updated, there is a large pantry closet, & an eat-in island! The dining room is located off the kitchen which makes for the perfect space to entertain! The living room is bursting w/ natural light, has beautiful hardwood floors, & even a fireplace! The first floor also offers a large bedroom, & an updated bathroom w/ a laundry shoot! Walking up the beautiful staircase, you will see the huge master bedroom w/ large walk in closet, an updated full bathroom, & another great sized bedroom! The basement is massive, w/ soft carpet, wood stove & 3/4 bathroom! The basement is the perfect size for any space you want to make it! The exterior of the property is gorgeous w/ so much to offer. A great opportunity awaits!! 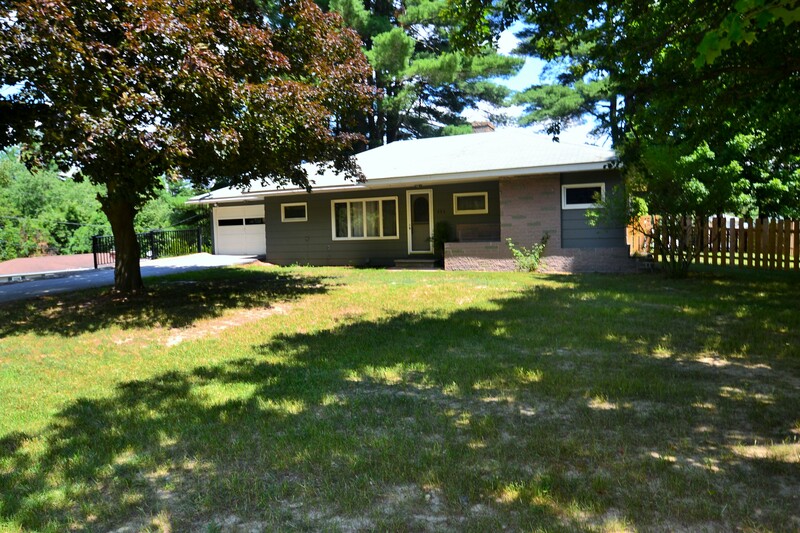 This 2-bedroom, 1-bathroom ranch with addition is just what you have been looking for! Starting in the spacious breezeway/mudroom, you will walk into the large dining room with built in corner cabinet! The kitchen is right off the dining room and has tons of cabinets and counter top space, all appliances are included! The living room is large with lovely hardwood floors and a wood burning stove!! The first-floor bedroom is a great size and has a room off of it which gives the option to add a small office or walk in closet! The bathroom is conveniently located on the first floor and has built in storage! The upstairs bedroom will surprise you with how much space it has! You will love the huge lot, that can fit a ton of parking! As if that wasn’t enough, there is also a 2-car garage!! With just some elbow grease and fresh paint, you are set to move in! 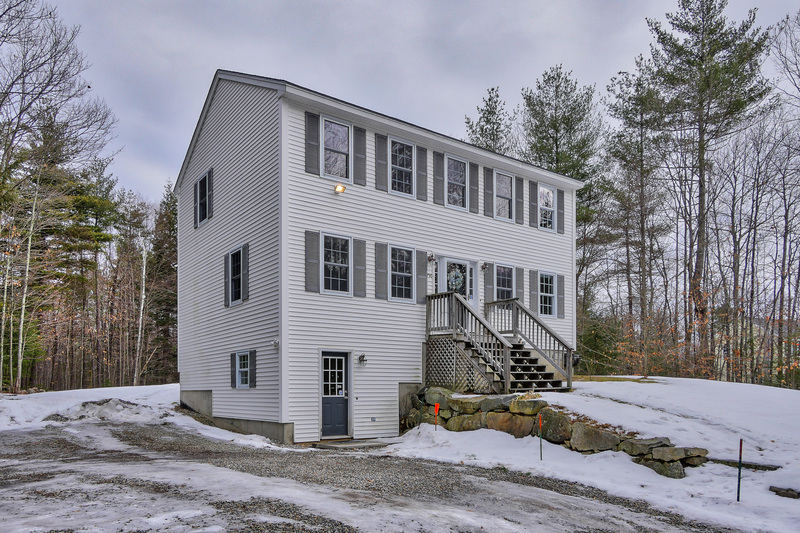 Such a great commuter location, not a far drive to Raymond and Derry for all of your shopping needs, and also close by to Wason Pond!! This beautiful North End ranch on a corner lot is just what you have been looking for! As soon as you drive up to this home, you will be able to tell that it is meticulously maintained! The front of the home is beautifully landscaped, with an irrigation system, it also has a gorgeous stone walkway, freshly seal coated driveway and a fully fenced in backyard! You start inside with a large dining room that is bursting with natural light, and leads you to the back slider out to the back deck. The dining room to outside deck makes for the perfect entertainment space! The kitchen is modern and sleek with gleaming stone counter tops, and stainless-steel appliances. You will also love the matching breakfast bar! With replacement windows throughout this home, the first floor offers the living room which is the perfect size and has refinished hardwood floors! The basement is a great upgrade with a separate office or potential fourth bedroom, a huge family room and beautiful three quarter bathroom!! 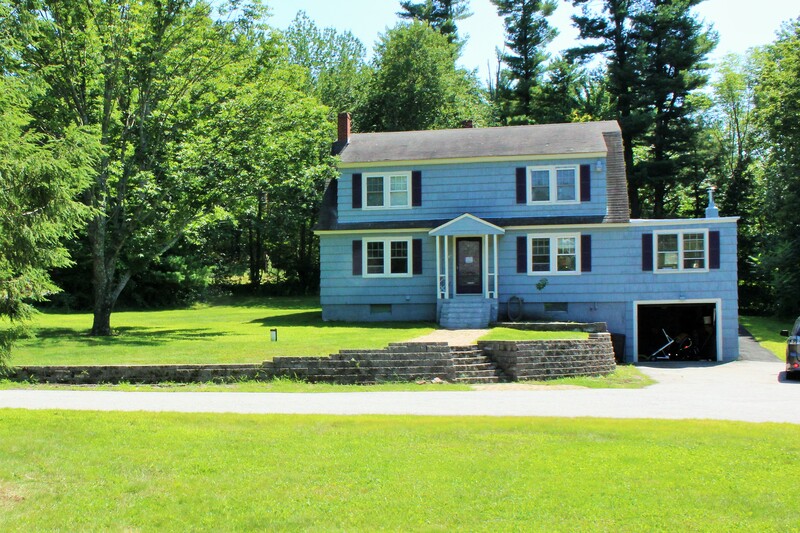 Turn your dream into a reality by owning this gorgeous waterfront property in Dunbarton, aka the Center of New England!! There is so much to love about this 2+ bedroom ranch. This home defines move in ready and boasts beautiful views from 3 sides! When you walk in, you will be instantly awed at all of the natural light, character and overall modern design! This home offers so many upgrades that it’s hard to list them all out! 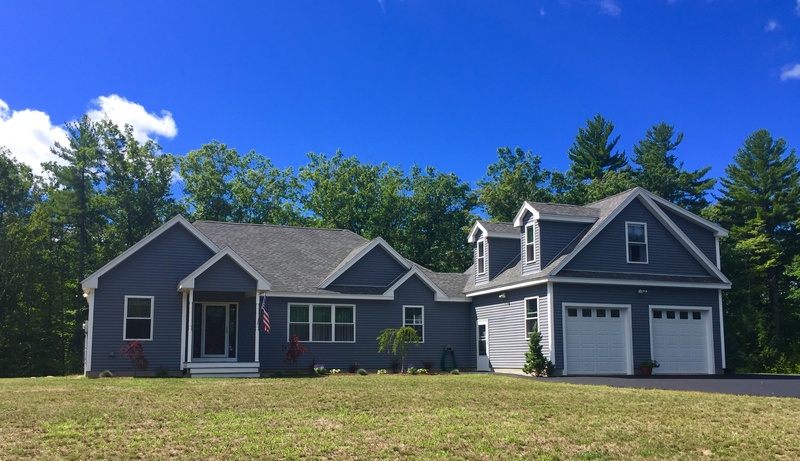 All within 9 years the sellers have upgraded the roof, the septic system, the heating system(less than a year old), most windows, and most walls, most floors, insulation, electrical, plumbing and more!! The kitchen has a ton of cabinets and counter space and all appliances stay! There is a separate utility/laundry room, 2 large bedrooms and a bonus room for extra space! Welcome Home! 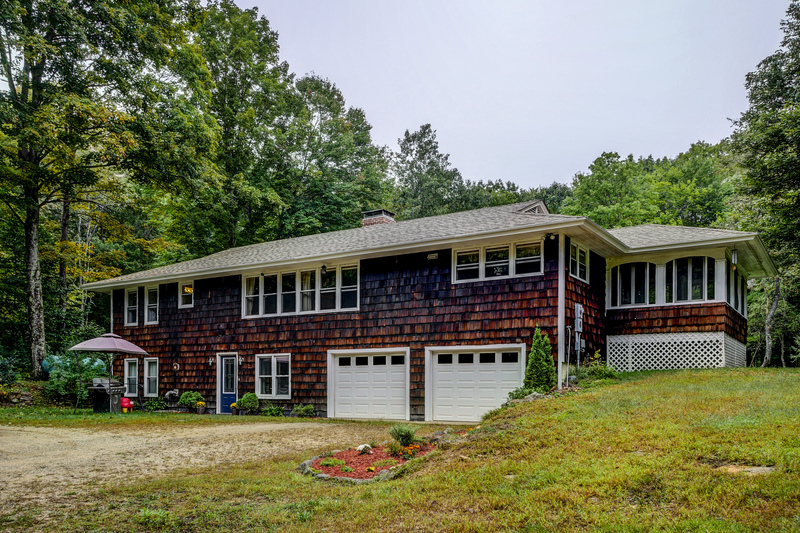 Set back in a private wooded setting this updated colonial has everything you've been looking for! Bursting with tons of natural light throughout, all of the rooms are very generously sized. The first floor has hardwood in the formal dining room and living room! There is a first floor bathroom that has washer and dryer hook ups! The kitchen is updated and spacious offering tons of counter space, many cabinets, a large pantry and even room for an eat-in kitchen! The second floor has plush carpets in the hallway and bedrooms. The master bedroom is spacious and also has a walk-in closet! The basement offers an entry from the driveway that is perfect to put your coats and shoes. The rest of the basement is a great size and has potential to finish! This home also offers a large back deck that leads out to the level backyard which makes for great entertaining space! 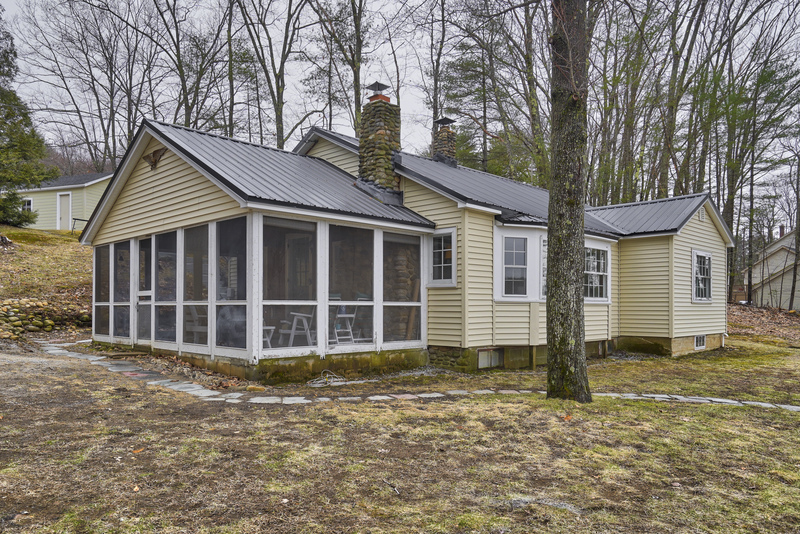 Five minutes away from Clough State Park, less than thirty minute drive to Concord and this property is on a school bus route!! 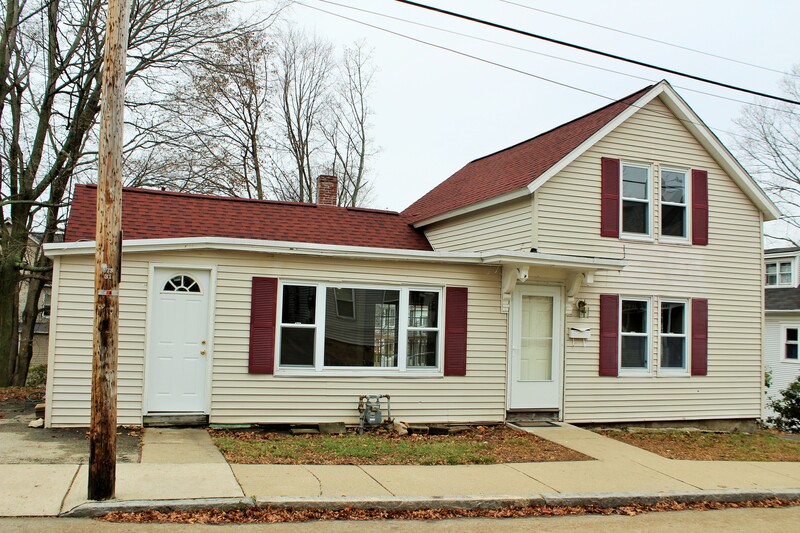 Great commuter location, close to downtown Nashua, yet close to highway access. 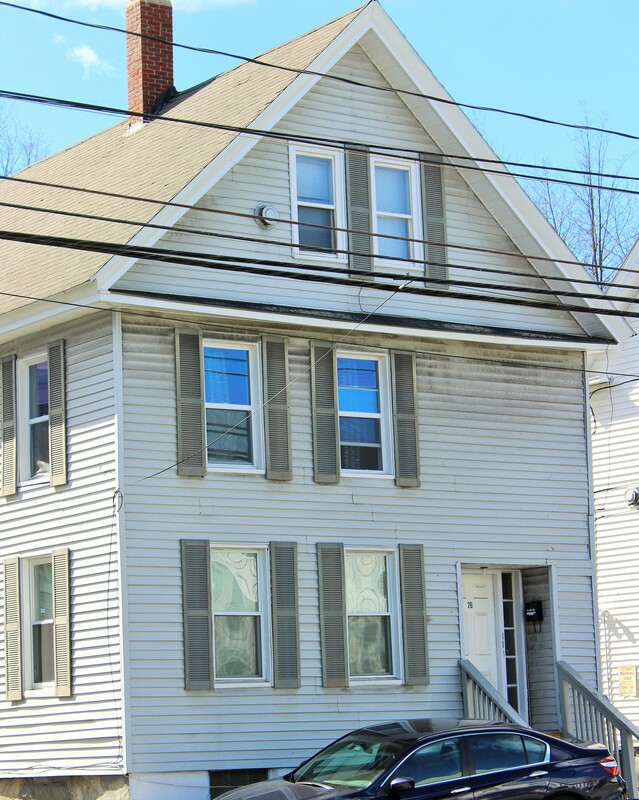 This Four Bedroom, One Bathroom New Englander is just what you have been looking for! Bursting with natural light throughout, this home has tons to offer! The living room is freshly painted, open and airy and has beautiful laminate flooring! The kitchen has an opening to the living room which makes it easy for entertaining, as well, easy access to the dining room! The kitchen has tons of counter space, and beautiful hickory cabinets! The dining room is freshly painted and has a lovely built in cabinet, and has french doors to the massive deck in the back! All four bedrooms are a generous size, and have plush wall to wall carpet! The basement has a ton of storage space and has potential to be finished if desired! Did I mention, the basement is a walk out to the large level backyard?! There is two separate driveways on either side of the home for parking! This home is vinyl sided, and also has a newer roof! Wonderfully Maintained Cape! This property offers a beautiful family room with high ceilings, skylights, and an attached 3 season finished porch that makes any day a perfect day to relax and enjoy. This home also offers a huge kitchen with modern appliances and even an eat in Island! The first floor has beautiful hardwood floors throughout. This even has the convenience of the Master Bedroom on the first floor with a separate entrance to the modern bathroom. There is also Laundry on the first floor! The whole house is beaming with Natural Light, the upstairs offer two large bedrooms and a full bathroom! Agent related to Owner. This Three/Four bedroom home has tons of natural light throughout and offers a large eat- in kitchen, half bathroom on the first floor, with three season bonus room, massive formal dining room, and over-size living room!! The backyard is a great size, the driveway has parking for over 6 cars, plus a one car stall attached garage! Background and Credit Check Required. 6 Month Lease- Now Available! (Cats only)- Agent Related to Owner. Here it is!! Built in 2007, this home is just what you've been looking for!! The perfect commuter location, tucked away on a side street but yet so close to highway access. This two bedroom, one bathroom Cape has a lot to offer!! The eat-in kitchen is spacious, and open to the large living room that has lovely bamboo floors. You won't be able to miss the natural light that is pouring into every room with the great large windows! The carpeted cozy bedrooms are a generous size and have great closet space. The upstairs is unfinished but is a perfect blank canvas for you to personalize! Don't Miss out, this lovely home won't last long!! Look no further! 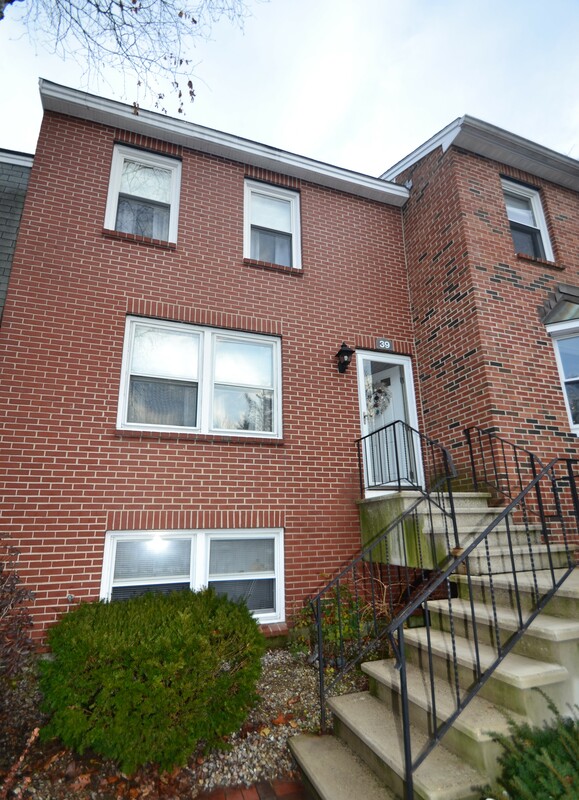 This two bedroom, two bathroom townhouse has beautiful new laminate floor throughout. The kitchen has been updated new cabinets, new appliances and beautiful quartz counter tops!! The dining room and living room are open, spacious and have tons of natural light. The living room also features a wood fireplace!! The second floor offers a great size bedroom, a master bedroom with high ceilings and tons of closet space. The second floor also has a laundry room!! The large bathroom on the second floor was recently updated. The third floor has a spacious loft that can be turned into a third bedroom if desired. The loft has two closets and even a skylight! The basement has laminate floors throughout, and has recessed lighting! The heating system and central air systems are newer! 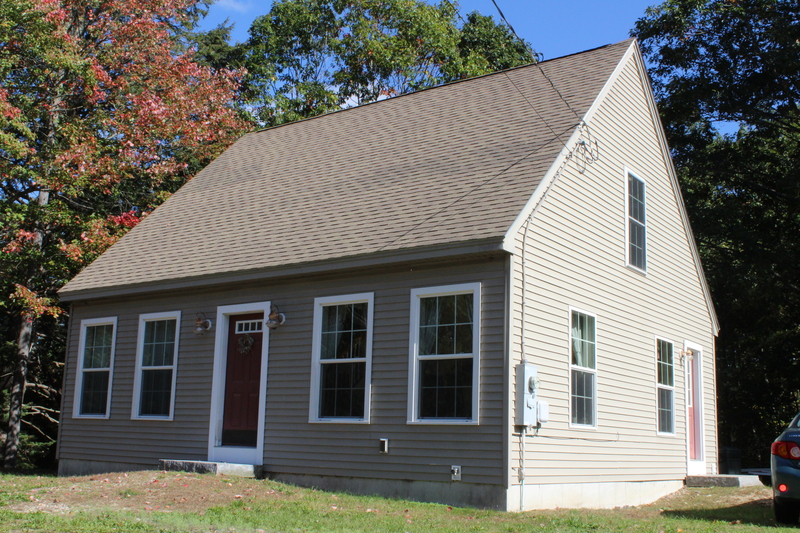 This home is 6 minutes from the Merrimack Premium Outlets and is close distance to the highway!! Don't miss out, this won't last long! Look no further! This three bedroom, two bathroom townhouse has new tile floors in the kitchen and first floor half bath! The dining room and living room are open, spacious and have tons of natural light. The living room also features a wood fireplace!! The second floor has new carpet throughout and offers a great size bedroom with a walk in closet, a master bedroom with high ceilings and a separate space for laundry!! The large bathroom on the second floor has new flooring, new vanity tops, and is also accessible through the large master bedroom!! The third floor has a spacious bedroom, new carpets, tons of closet space and even a skylight! The basement has new carpets throughout, features a bonus room, and has walk out access to the patio! 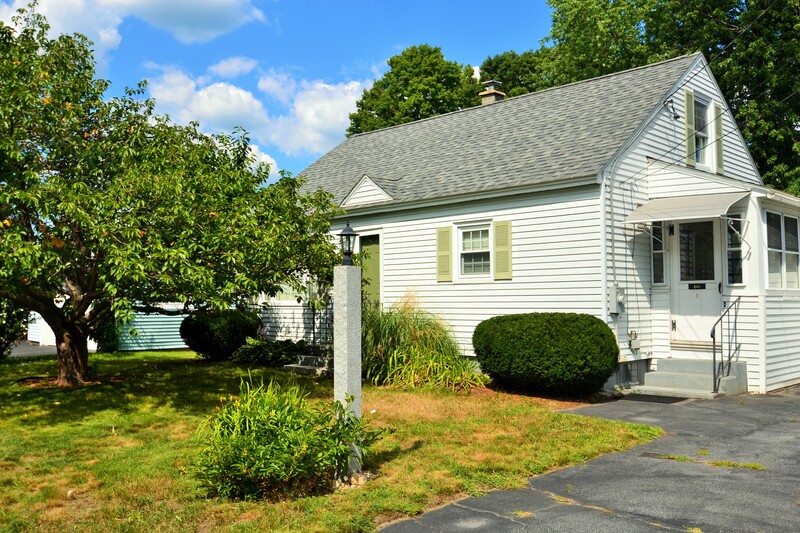 This home is 6 minutes from the Merrimack Premium Outlets, close to the highway and easily reached from Exit 7 in Nashua!! Don't miss out, this won't last long! Don't Miss Out!! 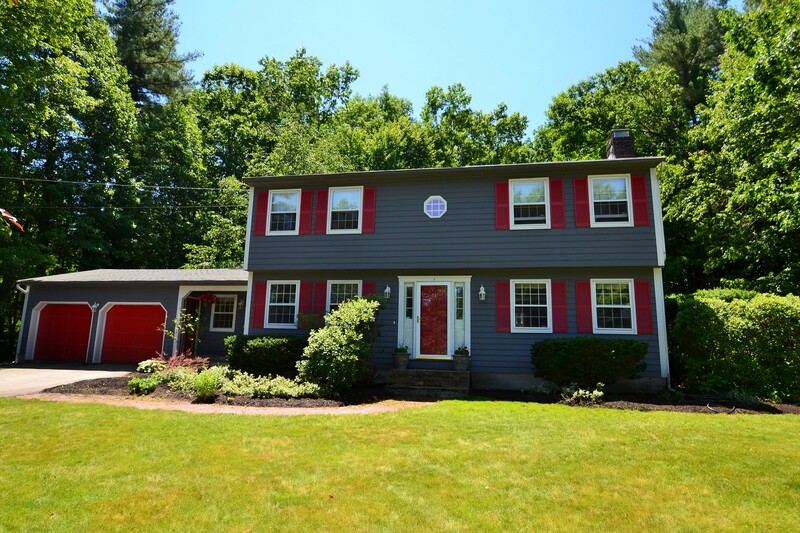 This beautiful colonial has a ton to offer! Enjoy the massive living room space with high ceilings and a lovely propane fireplace. The Eat-In Kitchen is open concept to the large formal dining room. Admire the gleaming bamboo floors throughout the first level! Bursting with natural light throughout, the second floor has three large bedrooms, a full bath and a Master Suite with Three Quarter Bathroom!! Set back from the road, you have a large farmer's porch to enjoy! This home also has an irrigation system and its generator ready!! Two Family with units totaling $1,900 in per month rental income! 1st floor Unit 1 ($900/month) with galley kitchen, cozy living room with carpet, and a full bathroom. 2nd Floor Unit 2 ($1,000/month) with updated kitchen, living room with hard wood floors and upstairs, and modern full bathroom. Plus both units have their own huge side porches, and separate utilities!! This property has new windows, and has Certificate of Compliance Abatement for Lead Paint!!! Great investment! RARE OPPORTUNITY!! 4 yrs young RANCH style, in quiet development. Bursting w/ natural light throughout, 3 full baths, 3BR w/ Master Suite w/ Jacuzzi tub & double sinks! 1st flr laundry w/ Pure Wash cleaning system. The main floor has Cathedral Ceilings & beautiful LOCAL MILLED Red Pine floors throughout. The kitchen has Cherrywood solid cabinets & pantry. The Great Room has a Mantel & Pellet Stove. Heated with GEOTHERMAL!! 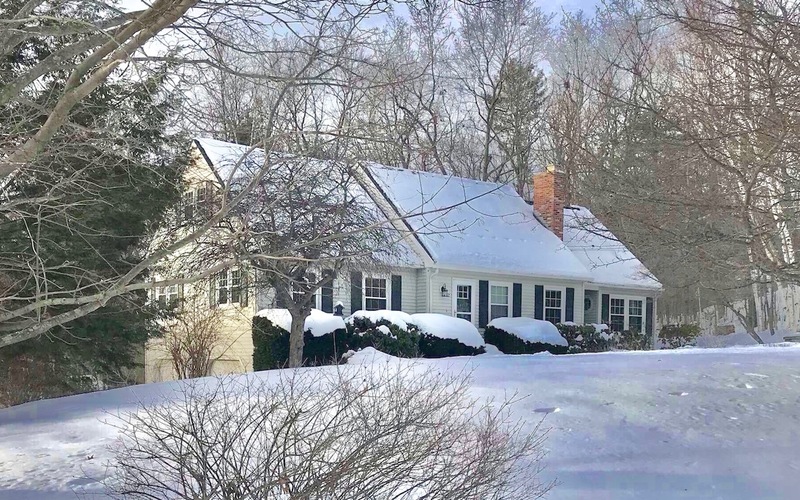 Has a mini-split cooling/heating in 4 rooms, radiant floors throughout even in the basement & 2 car garage makes for toasty toes in colder months! Heated Conservatory is a perfect place to sit & enjoy. Massive 20x12 PVC deck looks out to private, level backyard, perfect for entertaining. Rock walls on both sides of home add charm to the backyard. Newly paved driveway August 2016. Newer Landscape in 2016. HUGE 5 BR Septic & heated basement floors give option for extra living space in the basement if desired. Whole House Generator (negotiable). Agent Related to Seller. Welcome Home! All you have to do is move in! 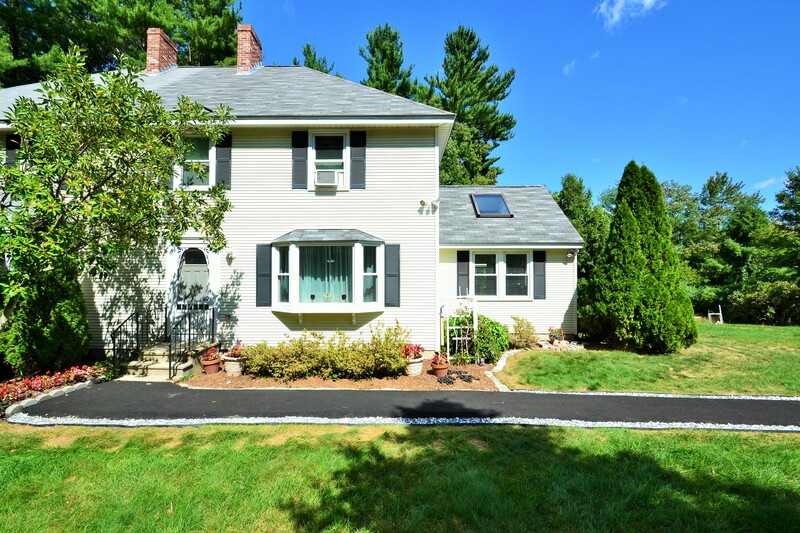 Drive up to the quiet cul-de-sac, this home has a new driveway and walkway freshly paved 2016. Beautiful hardwood floors in front living room with open concept to the large kitchen, to the side of the kitchen is a beautiful bright sun room also with hardwood floors, perfect for sitting and relaxing! 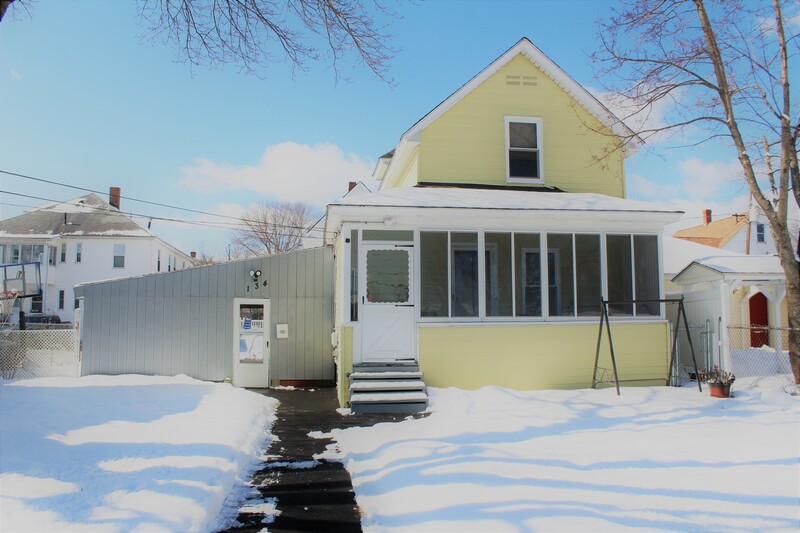 Spacious 1/2 bath on first floor and large full bathroom on 2nd floor with double sinks!! Upstairs has plush carpet into both bedrooms, the second bedroom is huge with views of the backyard that abut conservation land!! The master has a his and her’s closets and is large enough for a sitting area!! Bursting with natural light throughout with the 4 year old Harvey windows replaced in the whole house! New well pump in 2016, 5 yr old pellet stove, roof and heating system! Generator hook ups- with generator (negotiable). Don’t miss out, this won’t last long!! Perfect commuter location!! Corner Lot!! 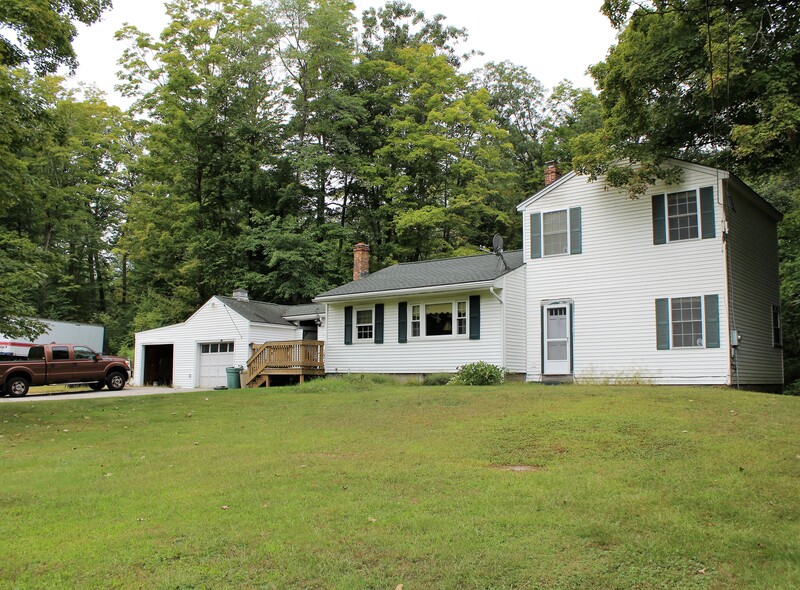 This three bedroom one bath ranch has tons to offer. Gleaming hardwood floors installed in 2015, brand new carpets in bedroom and hallway installed July 2016, open concept floor plan allows for great entertainment space, huge living room, beautiful wood burning fireplace,tons of natural light throughout, and massive basement with tons of potential to finish! Large fenced in backyard and side yard with a tree house!! New septic system and leach field installed in 2015. Don’t miss out, this won’t last long! Perfect commuter location!! This three bedroom cape has a lot to offer. Large eat in kitchen, master bedroom with gleaming hardwood floors, office/dining room, large living room and partially finished basement. The massive fully fenced in private back yard makes it perfect for entertaining! This home even has central air!! Newer roof, and heating system installed 2012. All you have to do is move right in!! DOUBLE LOT!!! 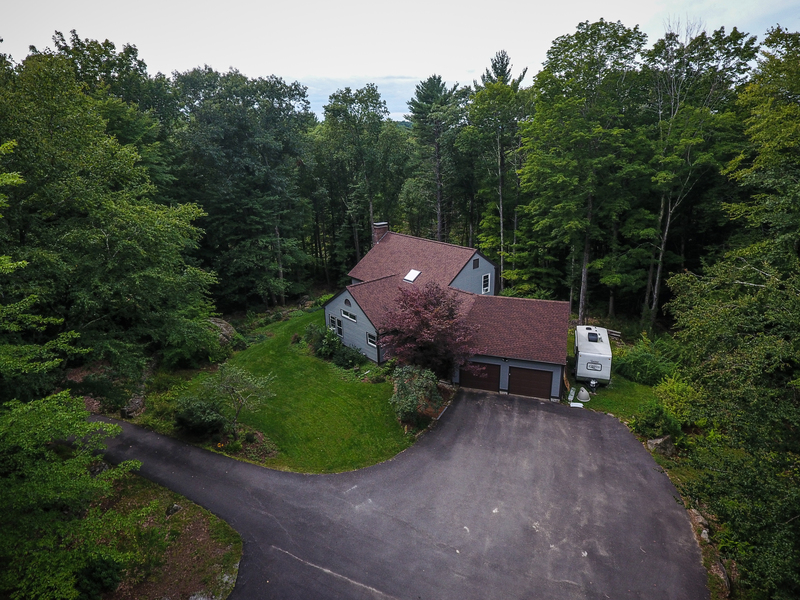 Overlooking the back nine of the Manchester Country Club and just the perfect commuter location with a beautiful private 1 acre lot PLUS .75 acre lot included with purchase. Landscaped to perfection, this property has an irrigation system. Plenty of parking spaces available, and has an over-sized two car attached garage! This home offers a separate living area/great room, wonderful large kitchen, formal dining room with gleaming hardwood floors, massive living room with wood fireplace, and 4 great size bedrooms including the huge Master Bedroom!! Just when you thought it can’t get any better, there is a screened porch looking out to the calm, quiet backyard. Don’t miss out, this home won’t last long! Quick closing possible! Just what you have been looking for!! 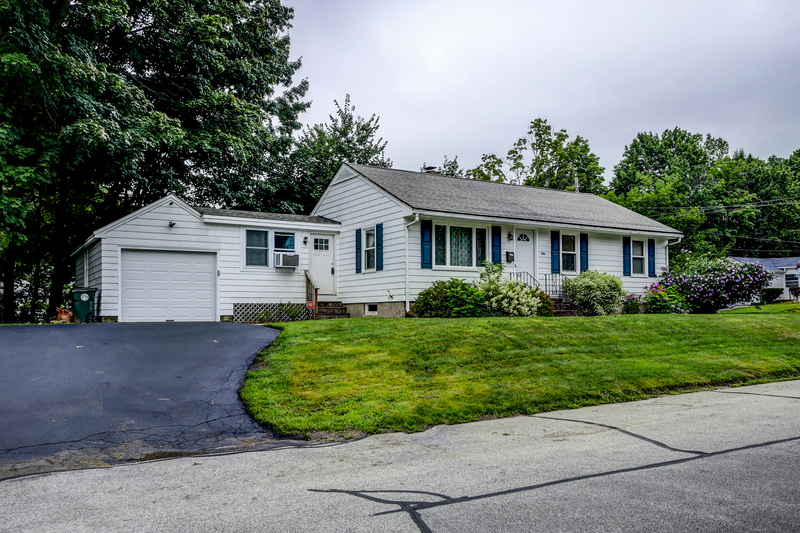 Meticulously maintained, like new colonial! Gleaming hardwood floors throughout the first floor with an updated kitchen, like new appliances, hardwood cabinets and sleek granite counter tops. 1/2 bath with laundry room on first floor, oversize dining room with central a/c unit. Spacious living room with a beautiful stone surround gas fireplace. Natural light pours in throughout the home! Huge bedrooms with plush new soft carpets, two bathrooms on the second level with bamboo floors and vanities topped with beautiful granite. Master suite has high ceilings and central a/c unit, TWO HUGE walk in closets with 3/4 bath attached. Front farmer’s porch gives the home a unique look. 2 Car attached garage, private partially fenced backyard with large deck. The irrigation system makes for the nicest lawn on the block! Boiler is only 1 years old! This home won’t last long, schedule a showing today! 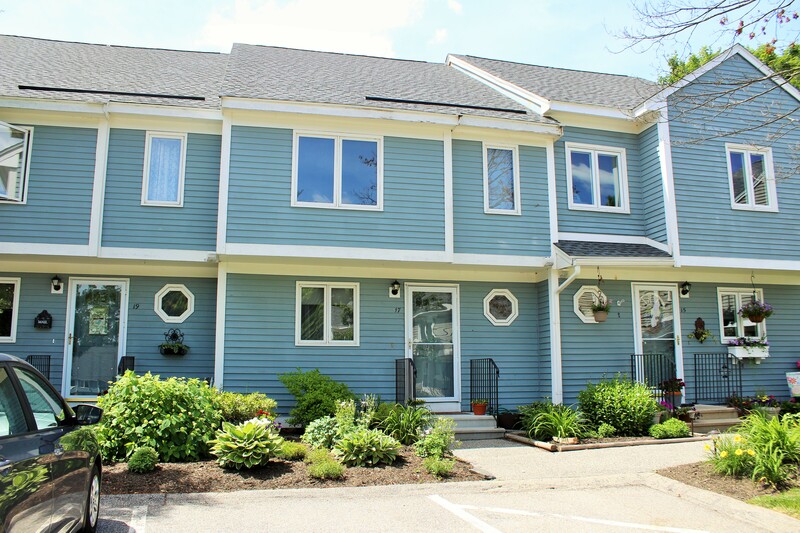 Meticulously maintained and updated townhouse at the desirable Derryfield Green Condominiums! Easy access to the highway & to all the downtown amenities! Gleaming hardwood floors in the large living room, bursting with natural light throughout, the kitchen is beautifully updated with granite counter tops, oak cabinets & high end newer appliances! There is a half bath conveniently off the kitchen that leads to a spacious lower level w/ gas stove could be a second living room, man cave, game room, playroom etc., the sky is the limit! Newer fixtures throughout & in the updated bathrooms, even has electronic operated toilets! The bedrooms are great size and there is a full bathroom upstairs that can even be accessed through the master bedroom. Newer heating system & Water Heater. This home has central air AND natural gas! Private fenced patio space in the backyard is a great space for summer cookouts with also a huge common yard for extra green space. Won't last long, come see today!! Victoria Mead is an award-winning Realtor®. 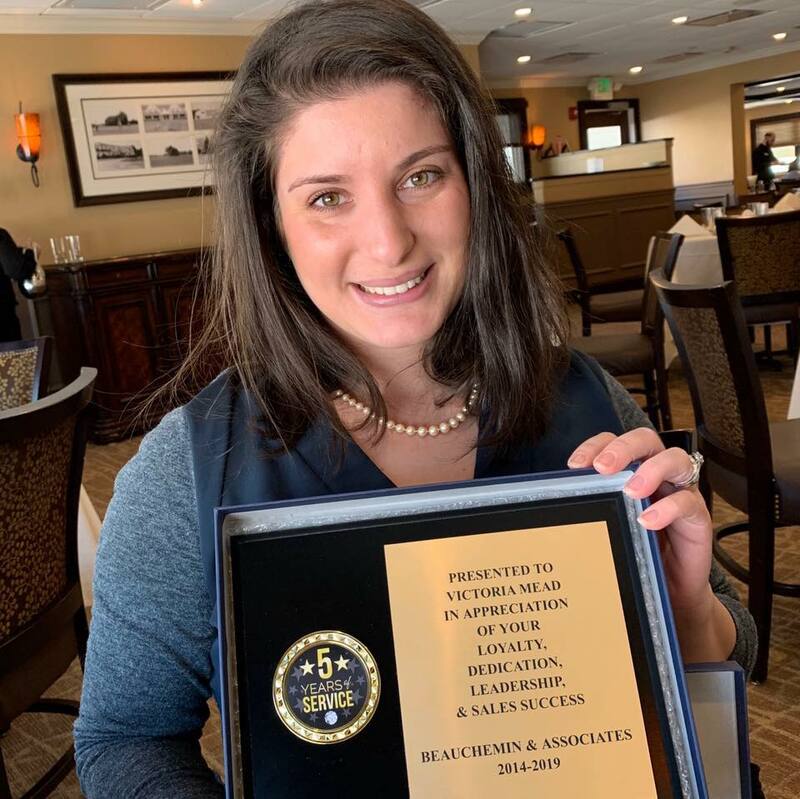 Since her career start in 2014, she has been awarded each year consecutively for her sales achievement. She is a highly accomplished real estate agent with profound experience. Reaching her 100th transaction after only 3 full years in the business! Although, she can service all towns in NH, her specialty areas are the towns in the Southern NH region. With former employment in the customer service industry, Victoria has excellent communications skills, and works hard each and every day for her clients. She takes each transaction to the next level insuring that all of her client’s needs are met. She loves to get creative when it comes to strategizing different techniques that will best suit the situation, she is not easy to give up, and has a way to make all clients feel that they are her only one. As an office, LAER Realty Partners Beauchemin Associates loves to give back to the local community. We support and sponsor local kids sporting teams, we make donations throughout the year to different groups within the community, sponsor events, as well as donate toys at the holiday season with Recycled Percussion! In her free time, Victoria loves to spend time with her husband and her two cats, Simba and Tucker. She enjoys running in 5k’s, and attending kickboxing. Victoria isn’t much for far travel, but loves taking day trips up North NH. Victoria loves to entertain, and loves meeting new people. One of the most important steps of being ready to purchase is knowing your options and knowing what the process entails. Buyer consultations are an average of 45 minutes long. In that time we discuss your search criteria, any questions you have, as well as a presentation on the process of purchasing real estate. Don't purchase the biggest investment of all time without first learning the process! Schedule a buyer consultation today! Selling your home is a big decision to make and it is very important to know what to expect during each step! The seller consultation/market analysis is a complimentary service that will both give you an idea of your homes market value, as well as what to expect throughout the process. The consultation is broken down into two steps. Step one is a home tour. This step takes about 30 minutes to complete on average. All you have to do is show me around your home, point out any upgrades you've done and any information you would like me to know. Step two is meeting for the consultation/market analysis. Once I have seen your home, I am able to conduct a comparative market analysis to pinpoint the ideal listing price in the current market of your home. That market analysis, as well as the consultation happen at the same meeting. We first start with the consultation portion which goes over the steps of the real estate transaction, and what marketing strategies I offer to get your home sold. We then will go through the market analysis to breakdown the findings. Use technology and the Internet. No matter what some of the "older and more experienced" may tell you, you need the Internet to market in the real estate world today. Activity in the first month of a listing is always the best, don't risk wasting it. Price too high, and scare off many buyers. Price too low, and you're leaving money on the table. Studies show that home sellers who use a real estate agent to represent them generally get a better price than those who sell the home themselves.